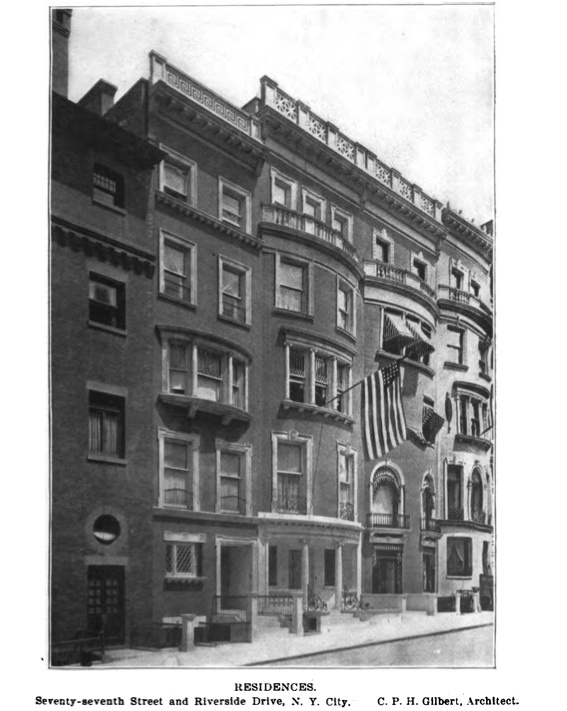 A selection of New York City townhouses designed by C.P.H. Gilbert, all built before 1900. Above, the Converse residence at 3 East 78th Street designed between 1897-1899. Click HERE to see the residence on google street view. Above, No. 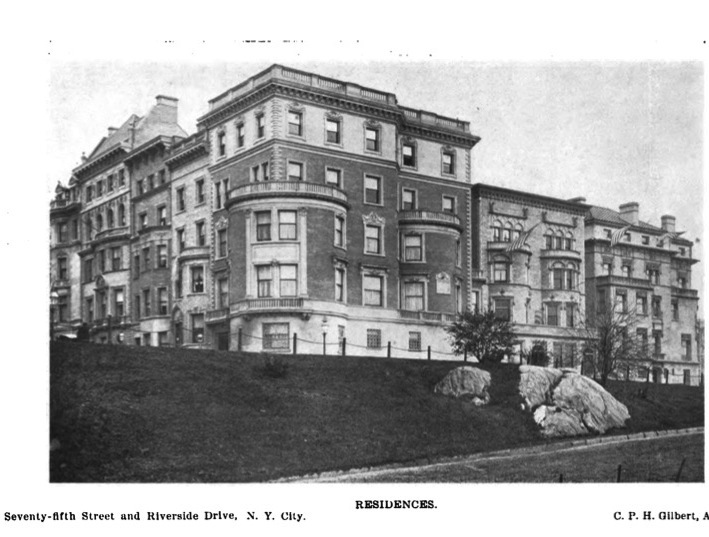 3 Riverside Drive built for Philip Kleeberg c. 1896. Click HERE to see the residence on google street view. Above, 316 West 75th Street. Click HERE to see the residence on google street view. The residences at the corner of West 75th Street and Riverside Drive. Click HERE to see the homes on google street view. Ahhh more CPH Gilbert. Round two? 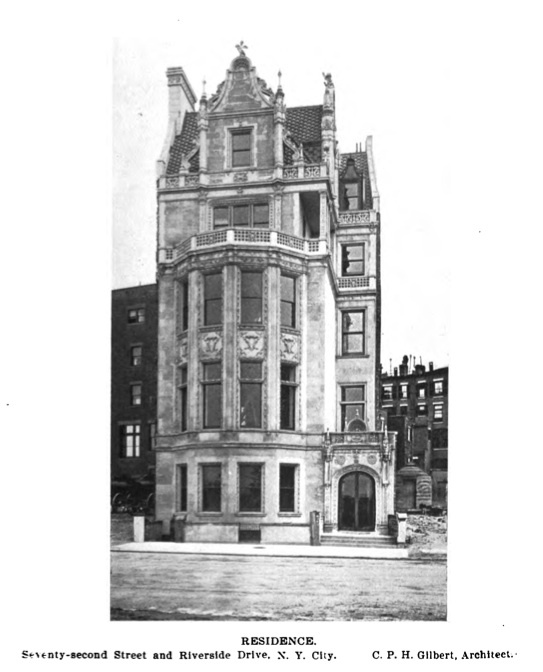 I think Gilbert built some of NY's best townhouses that were both GOOD and GRAND & GRAND and GOOD!!! 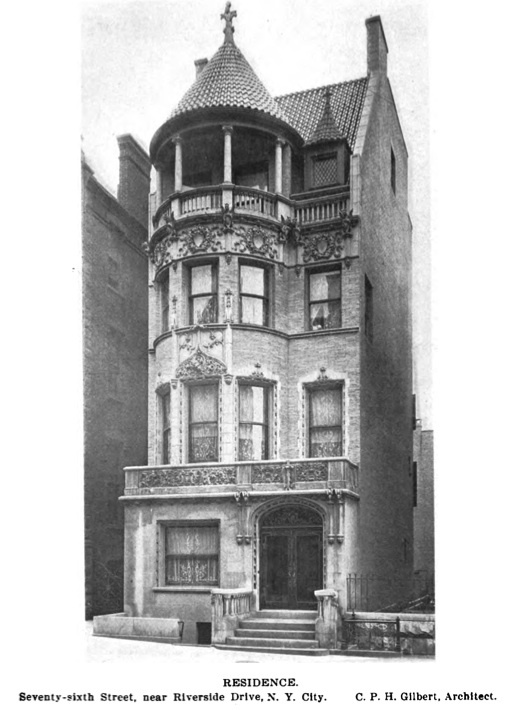 I think he hit his stride with the French Gothic style, showcased in the FW Woolworths own townhouse on 5th Ave, the spectacular Flethcher-Sinclair home, the Warburgs mansion and the ones featured here like the Kleeberg and Converse homes. 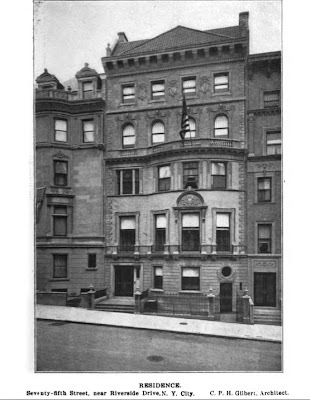 The lacy pinnacles, dormers and asymetrical rooflines were especially prominent when he had a corner lot to work with. 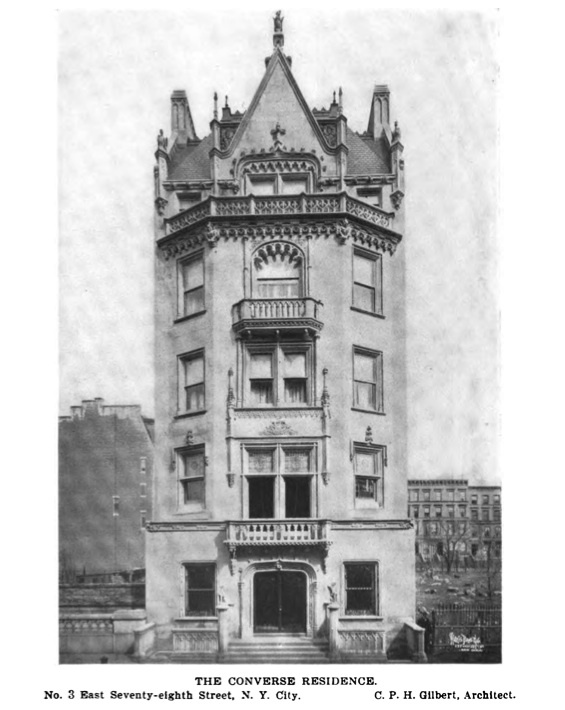 That being said, I think his townhouse for Delamar on Madison Ave might be his best work in NYC. IMO. Thanks for showcasing some of the lesser known townhomes from this underrated architect. Plus anyone who gave us Pembroke cant be that bad at all. Now the naysayers may ring in. Another, later, townhouse at 22 E 71st Street is currently for sale. It is one I have featured on my current blog posting. Thnx DC. $50 million reduced from $75.....I smell a bargain in the NYC real estate market. A Sigh?..........is that the sound of a towel hitting the canvas? I know, someone made a new years resolution to let CPH lie in peace, so maybe there might be a possible future post on David Adler? Someone will be very happy.